Can adapt to any universal stick The severe weather tool is intended to improve safety in situations where the work must be performed, regardless of weather conditions. The tool provides extra protection from water forming a continuous path down the length of the tool. 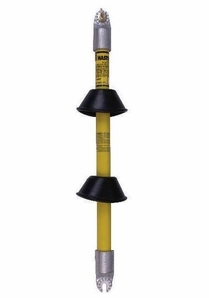 This will improve the dielectric properties of the tool when used in rain, fog, snow, or sleet.